Please visit our website for more information including registration links. Questions? Please contact Stephen Callahan at 209 468-9247. The masters degree program at Teachers College of San Joaquin has a focus on preparing candidates for the 21st century, linked through four organizing phases: Experience, Exploration, Implementation, and Inquiry. Candidates successful in this program understand and have the ability to work collaboratively with others, apply theory and knowledge, and pursue the development of their own expertise as it relates to teaching, learning and school development. M.Ed. candidates bring their own unique academic experiences and work with an advisor to ensure the connection of those experiences to their Masters Core coursework. 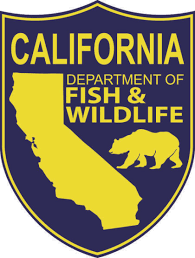 The program was developed in response to SB720 (signed into law in fall 2018) requiring local educational agencies throughout the state of CA to provide environmental education instruction to pupils in kindergarten and grades 1 through 12, inclusive. This degree will develop educators’ expertise in Environmental Literacy and prepare them to assume leadership roles. The Environmental Literacy M.Ed. coursework examines the close intersections between peoples, societies, and natural systems, and how to relate within those systems in a humble, sustainable matter. Educators learn to develop integrated curricula and learning opportunities that nurture K-12 students’ understanding of the natural world outside the classroom, expand critical thinking skills, and prepare engaged citizens. Graduates have expertise in developing, implementing, and sustaining capacity building plans for Environmental Literacy programs within an organization, such as a school district. Check out their website for all of the details. The Teacher Research Academy (TRA) offers middle school, high school, and community college faculty unique professional development experiences at Lawrence Livermore Laboratory (LLNL). ​Calling All Space DNA Enthusiasts! Ever wonder how astronauts might survive a deep space mission or how biology might be used to transform new worlds? Submit your best idea for a DNA experiment in space to the 5th annual US Genes in Space contest and become a space biology pioneer. Applications are due by 11:59 pmPDT on April 19, 2019. DNA sequencing, which allows us to read the order of the nucleotide bases in a DNA molecule, is an important technique in DNA research and medicine on Earth. Sequencing is fast becoming invaluable in space and will even be a part of the 2018 Genes in Space winners' experiment. This new video introduces you to the basics of DNA sequencing and how it is being used on the International Space Station. ​The California Environmental Phenomena Summit's in Santa Cruz! Spend two days collaborating with local science experts and other educators from the region. Learn about local, environmentally-focused phenomena. 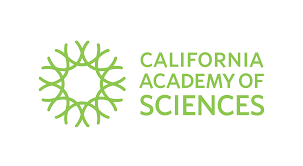 Deepen your understanding of phenomena and California's Environmental Principles and Concepts. Contribute to a resource that will be shared with other educators. Designed for K-12 Classroom Teachers and out-of-school educators experienced with NGSS and interested in environmental phenomena.